Everyone remembers this commercial, an iconic example of great visual storytelling. 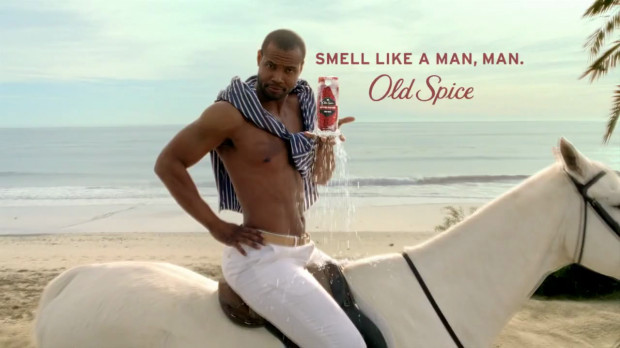 Screenshot courtesy of Old Spice. The following is the fourth in a series of six blog posts adapted from a speech by Cameron Uganec, HootSuite’s Director of Marketing, given at the Marketo’s 2013 Summit Conference in San Francisco. The first post, “Why Storytelling?”, can be found here. The second post, “Back to the Future”, can be found here. The third post, “Creating Content That Gets Shared”, can be found here. 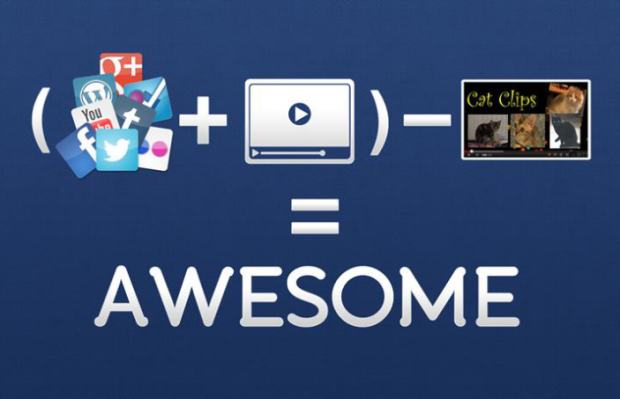 The session, entitled “Social Media + Storytelling = Awesomesauce” can be watched in full here. Social Media has evolved to become a highly visual medium. We see that in the rise of Vine, Instagram, Pinterest and Facebook’s move to timeline. It’s all about images. You can probably see that in your own digital behaviour, you are sharing and viewing more photos, graphics, infographics, GIFs, videos etc. *Statistics from VFM Leonardo Inc. and M Booth. Image taken from an infographic by VFM Leonardo. The images that resonate with an audience and that get shared are images that have an emotive element, images that tell a story. The image the Obama campaign posted after the President was declared the winner is an excellent example of visual storytelling. It is the most retweeted tweet of all time, receiving over 640,000 retweets. All it took was three words, “Four more years,” and a candid photo. It was a hit is because it was the conclusion of a meta narrative: the whole world was following this story, familiar with it’s plot and characters and this photo was the third act. Any tweet the campaign sent out at that time would have gotten a lot of attention but I believe this tweet was such a breakout success because it was emotive and authentic. It captured a real moment. Someone who is not supposed to be vulnerable, the President of the United States is showing that he is human. It’s highly relatable on an emotional level. 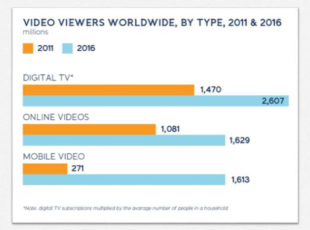 Another major trend is the growth of digital video. I have a confession to make, I am a big fan of storytelling in any form but video is my favourite medium. Digital video is experience astounding growth. 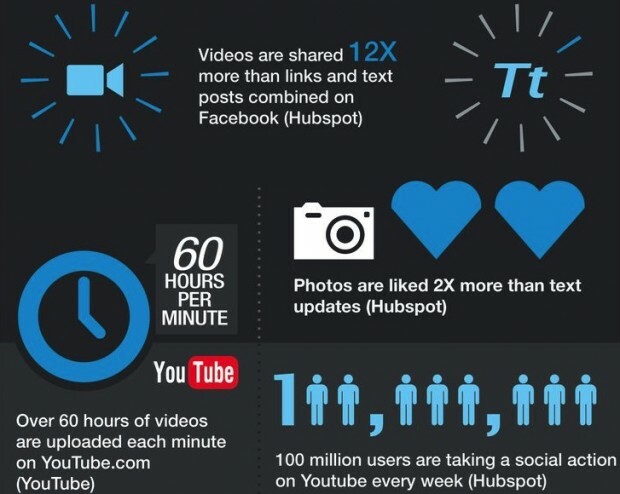 At HootSuite we are spending a lot of time and effort trying to understand video and how we can use it to drive results. We have built our own video studio, and produce the bulk of our videos in-house. My definition of social video: online videos designed to be shared through social networks. Some might say, ‘isn’t that viral video?’ I don’t really like the term viral because I think it speaks to an outcome. It’s like saying I produce blockbuster movies. Its an outcome. If you get lucky, and get on the right thing, it can be very successful. But social video may not get millions of views and still be very successful. If your company sells enterprise software, a video that tells the story of how your software can help might be a success with only 400 views (if those views come from your target market, say senior decision makers). The world of social video is evolving and expanding quickly and the term is shifting. Note: Eventually the term social video may have a narrower meaning as Instagram and Vine increase in popularity and as other apps and networks emerge. Social video is also different than broadcast. Social media principles that impact social video: it’s participatory, it needs to be agile, it requires listening to and engaging with your audience, and its success depends on the network effect. In the next post we will explore these difference and provide tips on how to create successful social videos. In part 5 of this series, we will examine social video in detail, including ten tips for creating effective videos.